Here it is from the horses mouth,…there’s no good reason to abandon your desire for style just because you’re 50. Even if you feel you once had style but lost it somewhere along the way, or you’ve never had it, NOW is the time to find it, embrace it, and love every minute of it. While I’m targeting the over 50s, this applies to women of all ages. Between our obligations, career, family and all the crap STUFF life throws at us, sometimes our style, sense-of-self, and confidence takes a dive. BUT, our ultimate success comes from our ability to bounce-back and YOU CAN. It doesn’t take heaps of money, just an altered state of mind, some determination and time. It starts with a positive attitude and a willingness to put some effort towards the change. How you think determines how you see the world and behave, and this in turn determines how others act and react towards you. A positive, interested and optimistic outlook creates a joyful spirit, eyes that twinkle and a face that holds a smile easily, as well as an appreciation for others, events and what you DO have. My grandmother used to say to me as a child ‘If you don’t stop making that face, one day it’ll stay that way forever.’ Later I discovered this strange saying of hers had some truth about it. Psychologists call it ‘Muscle Memory’ and it stems from the fact that our emotions and attitudes are unconsciously leaked to the world through our posture and facial expressions. If you hold those thoughts long enough, your facial expression and posture will permanently part of you. I’m sure you’ve seen it, women with a permanently downturned mouth, dull eyes, a frown and stooped shoulders. We are naturally conditioned to look at faces to gauge a person’s personality and mood. What we see either draws us in or repels us. The good news is that once a potentially damaging mindset is recognized it can be altered and the body will follow suit. So, take the reigns and don’t let your current or past circumstances ruin your future. Without a positive mindset, everything else I’m suggesting will be ineffective. A genuine smile makes you far more stylish than anything you’ll ever wear. You shouldn’t be allergic to trends just because you’re 50. Following trends, keeping everything about yourself current, and sporting something on-trend is a must to looking stylish and confident. Whether it’s a new silhouette, color, or accessories, you should always select those that both appeal to, and suit you. Following trends doesn’t mean blindly adopting whatever what’s hot right now. 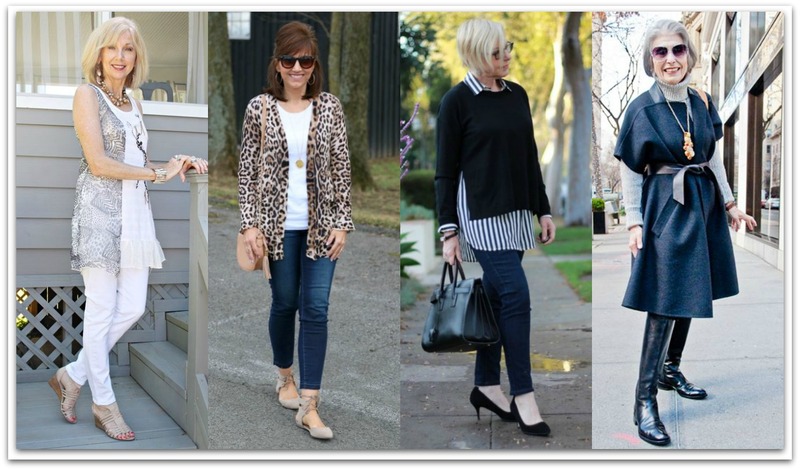 Trend dressing beyond 50 is all about combining the trends into your own personal style. Over 50, the key, is to balance current trends with a more understated elegant aesthetic. You may opt for a bright color in a classic silhouette, an accessory or an on-trend shoe such as a leopard print athletic slip-ons instead of your worn-out runners. Getting over the 50 hump is a milestone, and it just might be the right push you need for you to mix it up a little bit more in the hair department. There’s nothing more enlivening to the spirit than a new do, the trick is to ensure it suits your face shape, coloring, lifestyle, and ability. 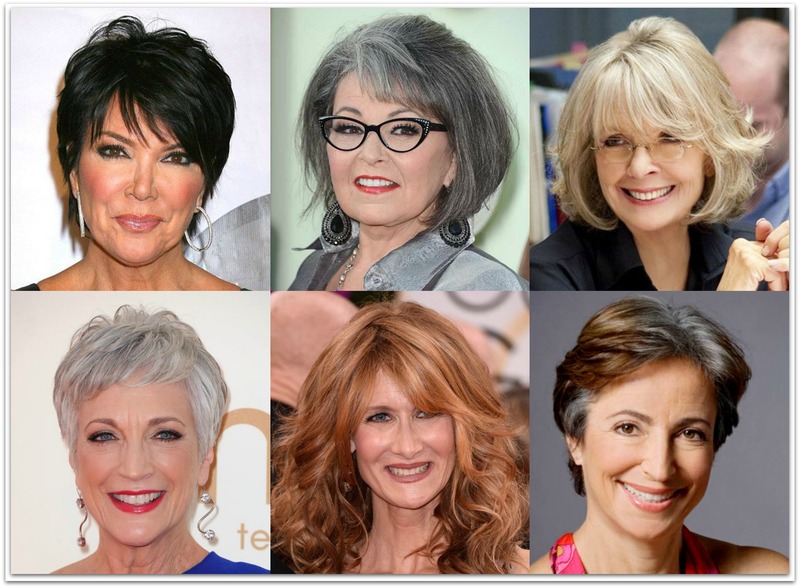 Women over 50 are best opting for shorter hairstyles since they are tend to lift rather than drag down the face. That’s not to say some over fifty women don’t look good with long hair but it definitely has to be in good condition especially and in a current and stylist cut. Long gray hair is very tricky to pull off. 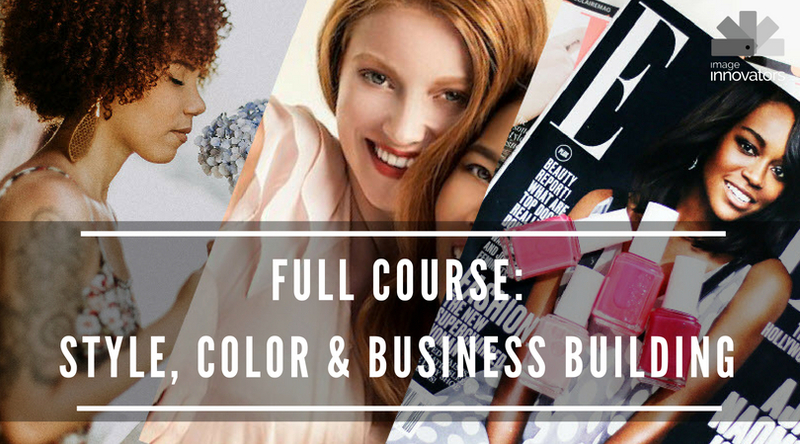 This is the time in your life to cultivate a relationship with a colorist you trust. Adding some warmth to your look through skillful color will instantly boost your look. Even if you are cool toned, there are colors that add warmth without contradicting your coloring. One thing to stay clear of if you are coloring your own hair is going back to the same depth of dark hair as you may have had when you were young. This is always a disaster as it will be too dark for your current skin and eye color. Always go a few shades lighter; don’t rely on stronger makeup to make it work as this will only make you look older and harder. Click here for over 50 hairstyle inspiration. 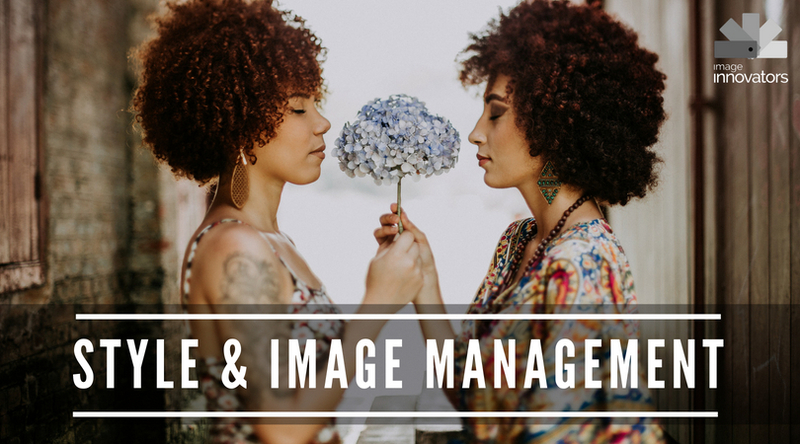 It’s no secret that our skin color, texture, and type changes as we age, and accordingly our makeup needs to be adjusted. 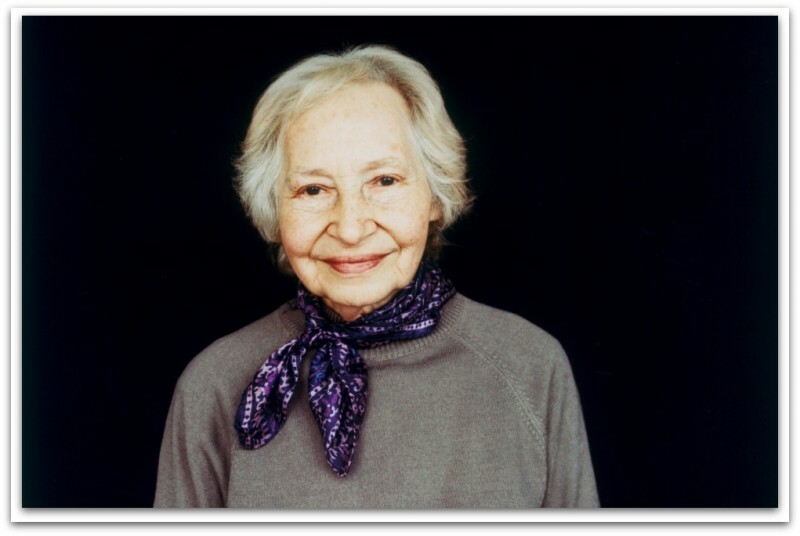 A visit to a makeup professional (preferably on that understands and works with older women) is a good idea. Consider this an investment in looking your best in your 50s and beyond. More than teaching you new techniques, you can seek out their assistance in editing your existing products and recommending better products for you. If you don’t have a large budget for your post-50 makeup makeover, simply make your way to the makeup counter in a department store. They have trained people there to give you free advice on your makeup application and style. You might even score some free samples! 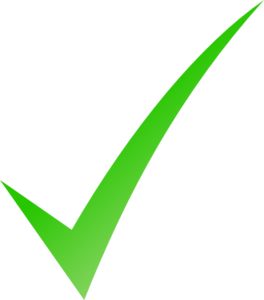 Click here for make-up videos. Also here. All those cups of coffee or tea, glasses of wine and even smoking over the years will have taken their toll your teeth. Now is the time to upgrade your oral hygiene and supplement with some teeth whitening. It’s amazing what an impact whitening your teeth will have on your appearance – it will really turn back the clock. 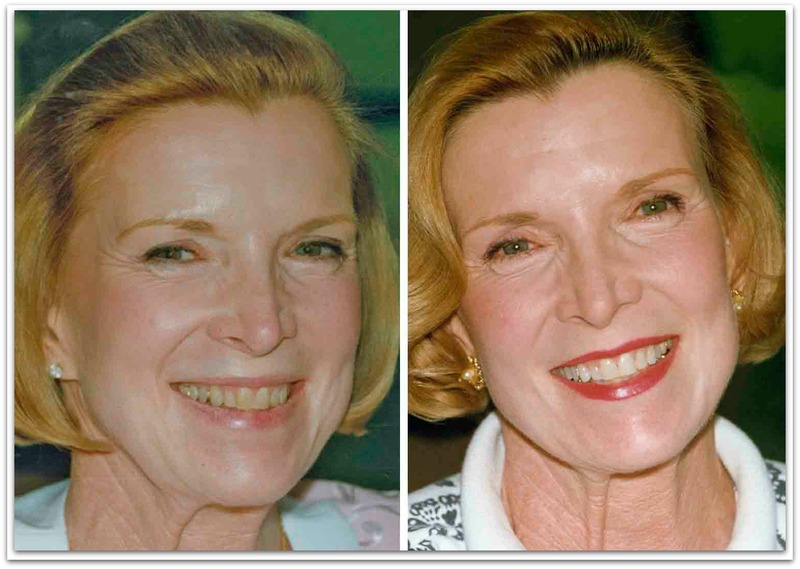 There are various ways to go about the whitening process. Of course, your dentist will always be the best option. However, there are a lot of effective at-home whitening products as well as DIY whiteners you can make from common household pantry items. Glasses may have been apart of your life for some time but when you reach 50, the changes are you’ll be having the prescribed soon. I say, embrace it! Your eyesight problems are opportunities for some super styling. From prescription glasses to your sunnies, your eyewear can speak volumes about your personality and your style. Your face shape should be your number one concern when picking out frames but immediately after that is your personality. As you know I love my ‘stand-out’ eyewear, it highlights my style and often act as conversation starters initiated by others. If you like eyewear that is a little different, you may have to search for optometrists and retailers that cater specifically for you. My glasses come from Funky Specs, a company that allows you to design your own frames. Click here for more on choosing the right eyewear. They say if you got it, flaunt it, and flaunting it shouldn’t stop at 50. Tastefully and with your eye firmly on chic sophistication, identify your best physical asset and dress to highlight and accentuate it. Celebrate your body and your beauty. Flaunt your curves in a hip-hugging dress over a figure affirming shapewear. Show off your lower legs with a midi skirt and cute shoes and take your toned arms for a night out with an elegant LBD. Flaunting your assets doesn’t mean showing lots of skin, it means choosing silhouettes that complement your chosen asset and work with your personality. I like many of you may be starting to find that wearing high heels is not as easy as it was. Stilettos may no longer be a practical option unless you plan to wear them for very short periods. Luckily the fashion industry has been embracing the chicness of low heels and even, flats. Kitten heels, wedges, and flats with trendy details or embellishments are all great options for the gal that still wants her footwear to be fashion forward. If you find you can no longer wear anything but comfortable, wide, unattractive shoes then, you answer is to keep your feet quiet and add an eye-catching feature high on your body. I cannot stress enough how important posture is. Good posture is seen as youthful and confident. You may be wearing a fabulous outfit, but if you’re slouched over in your seat or walking with hunched shoulders, you completely lose your appeal. It’s important to conduct yourself with confidence—and great posture is a huge part of that. The basic ‘shoulders back, chin up’ is simple advice that can go a long way for you. However, there is also certain kinds of stretches or exercises that can further improve your posture. In addition, always move like you’ve got somewhere to go and something to do. It doesn’t matter if it’s to the grocery, an important meeting, or lunch with the ladies, moving with purpose does your posture and overall image good. Moving with purpose lends you an aura of power and confidence, which only serves to enhance the stellar style you’ve already got. 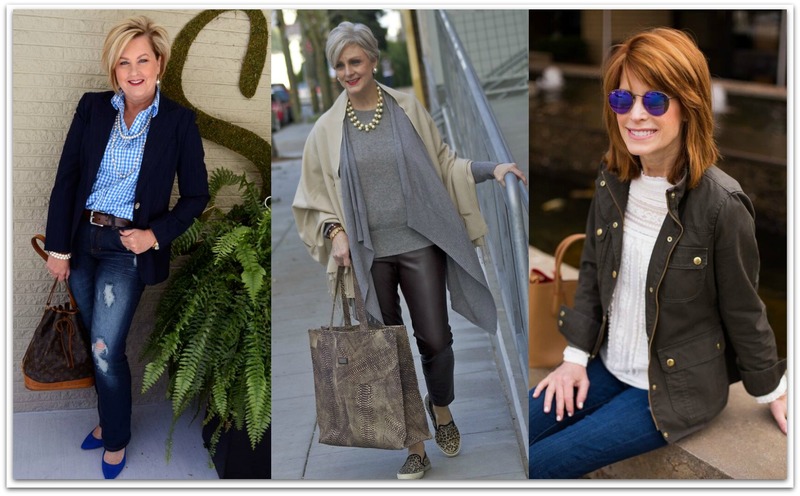 Like these ladies from the popular blog and documentary “Advanced Style,” amazing style comes in twos, threes, and fours. The people you surround yourself with influences your lifestyle and, of course, your manner of dress as well. It’s human nature to let your environment affect you, and the people you spend time with is a huge part of that environment. Filling your life with positive, inspiring people who value both their inner life and outward appearance is invaluable. Hold on to these people, they will make your journey richer and happier. If you still find yourself wanting, reach for lifestyle inspiration on the Internet. The web is an excellent tool to be able to connect with like-minded individuals. It’s also a great way to gain the inspiration you want or you need for your style journey from your 50s and onwards. Check out this link for Instagram accounts you can follow and be inspired by. I’m not there quite yet, but this is a lovely, affirming article. 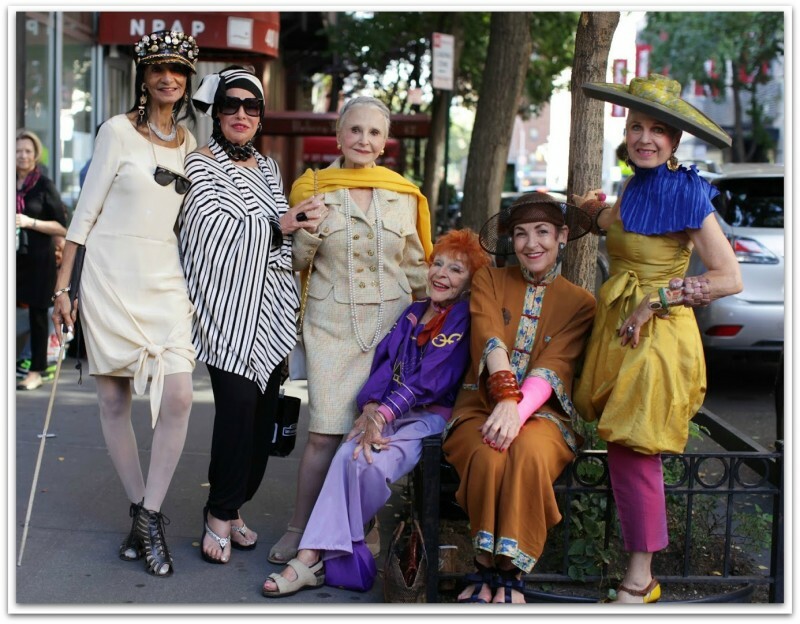 I really appreciate this post and found the pictures of mature women with their different and unique outfits very inspiring. Thankyou. I am 51 and am just starting to realise I have permission to dress how I feel rather what I should. Thank you Fiona, I’m glad I could help. Thank you Barbara, You are so right. Style is ageless and get better with time. Once you have it, you will always have it! Hi Janice, I’ve found that when some women go through very difficult circumstances their confidence and style and be severely rattled. I’ve also seen many women come through an event like a nasty divorce or cancer with a completely changed personal style, especially if their style was feminine. Love this article. 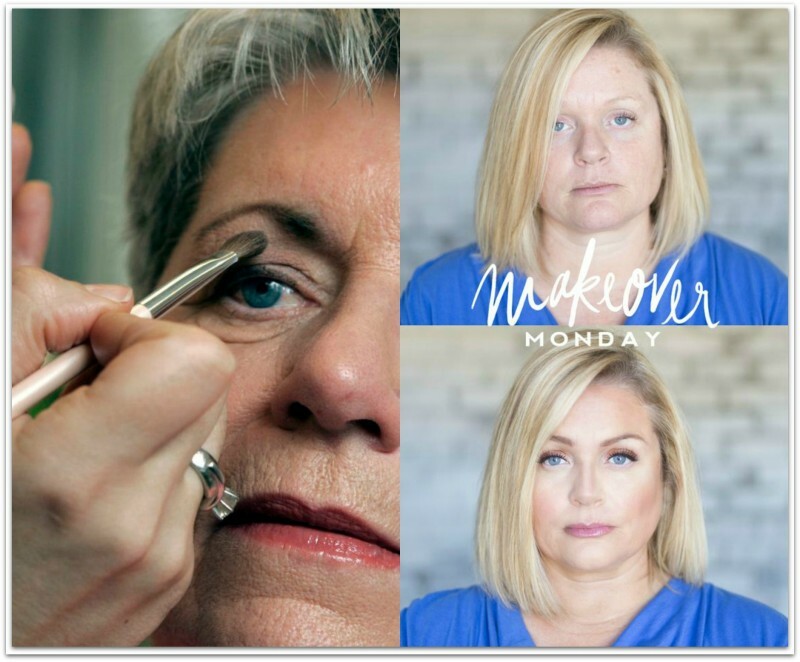 Thanks for the makeup links…feeling even more positive about turning 50 next year..woo hoo – bring it on! These are words to live by, Ann. I’ve been looking for information such as this. Thank you.